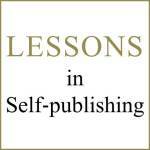 self-publishing « Write, or Else! The secret to my success has been multi-factored. First, I’m willing to work harder than most people would. My days are long and I don’t take days off very often. I’m also flexible, realistic, and have developed an (imaginary) exoskeleton – so much better than a thick skin!- against setbacks and naysayers. You can’t succeed in this industry or maintain success if you aren’t relentlessly, doggedly, maniacally persistent. What’s the single best thing you ever did? Throughout the two years that it took me to write Fluencey, I was building a Twitter following of wonderful like-minded people that loved my genre as much as I did. It was very time consuming. Every day I followed 100 to 200 people that matched my criteria and unfollowed those that didn’t follow back within 5 days. I tweeted three or four times a day about relevant topics. In my case, as a sci-fi writer, I tweeted (and still do) about science, space, sci-fi, and SFF fandoms. I engaged (the critical aspect) with those followers throughout each day, every single day and I still do. I built interest and trust. I built relationships! By the time I launched Fluencey, I had 10,000 Twitter friends (now up to 28K) who enjoyed my company. It was natural that they’d be curious about my book. And when I casually tweeted on launch day that I’d written a book and that it was available for sale, 500 people pressed buy. Then there was word of mouth, and Amazon’s visibility algorithms kicked in. It snowballed. 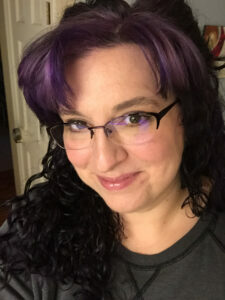 Read more of the interview here, and learn more about Jennifer Wells on her blog! Welcome, readers, to my picks for this week! Reading Radar tends to focus on self-published and crowdfunded projects, especially by authors who have not had huge exposure in the market. This week, I look at two more works I want to read – and I think you should check them out too! O’Coffey is adding illustrations in with the text, turning this into a mix of graphic novel and standard novel. The pictures I’ve seen so far only add to the surreal, creepy, but perhaps not-too-serious vibe suggested by the byline. The story is about Jimmy Reve, a boy who just wants his bullies to go away. One day, the bullies start to disappear, one by one, and Jimmy realizes his problems are much worse than he thought. He is introduced to the Kingdom of Dreams, and has to find a way to fix the damage he has caused – or he will disappear next. This work is currently seeking backers. I usually toss in $10 to one Inkshares book each month, and I think this will be my choice for December. Check it out – I think this project deserves a proper chance. This book appeared on my radar thanks to a visitor to my website! I tracked down a like for a previous post, and found that James Harrington’s latest book is Soul Siphon, and that it came out last April on Amazon. So I decided to give the preview a read. This book has a cool premise – good enough to keep me interested through the free preview. The story follows Corban, a man who was possessed by a demon and who died as a result. He is brought back to life by a mysterious figure and joins others who have been mysteriously resurrected. From the looks of it, these once-dead characters have mystical powers based on how they died. It seems they have been recruited into fighting evil beings – but honestly, it’s a bit hard to tell where this story is going from the preview. The writing is a bit clunky, with a lot of tell where there could be show. Entire paragraphs are written in the past perfect tense, describing backstory without allowing the reader to experience the events. The prose could use tightening – a lot of sentences could be shorter and simpler. The worldbuilding and detail seem interesting enough to merit a full read, however, so I’ll give it a shot. That’s it for Reading Radar this week. What are you reading? Consider buying a copy of Nothing Too Familiar or Convergence to support the author of this site. Or you can help support this site by leaving a tip. Contributions can be made in any amount starting at $1 US. Thank you for the support! Why I had to stop my serial and write a novel instead. I went about writing a serial almost exactly the wrong way. I started writing the serial for Far Flung over a year ago. I remember well why I started – I really, really needed to write and publish, and I was sick of passing my work by an unknown gatekeeper. Oh, I wasn’t afraid of rejection (okay, maybe just a little) , but I hated the whole routine of write something, submit it with fingers crossed, hear nothing for 3-4 weeks, and then get a ‘yes’ or more likely a ‘no’ with no feedback whatsoever. I had read some great serial fiction, and decided to try it myself. I had an idea planned out, and a few chapters that I had run through my writing group. I went ahead and started with JukePop as my first main outlet, and later on made my own website dedicated to releases of my fiction. I lost my ‘lead’ quickly. I had 3 chapters ready before I posted my first chapter of Far Flung. I thought, somehow, that having the motivation to post regularly would get me writing new chapters quickly. I thought posting a chapter twice a month was enough. Obviously, both ideas were proven wrong. First, simply having a serial in production can motivate, but it doesn’t change your writing speed. It definitely doesn’t help your overall quality. What I didn’t fully realize was the need to PRE-SCHEDULE. If you want to do a serial, you must must must must pre-schedule posts. From my experience, I’d say having a month or even two month’s worth of posts ready before you post the first part is ideal. The most successful serials post 2 or 3 times A WEEK, not per month. So if you are a slow writer, plan accordingly by giving yourself a HUGE leeway. I didn’t have enough traffic to support it. I started with JukePop because they (are supposed to) have a system for paying authors. I still can’t figure out how – I think you have to be an American in the USA. I tried running ads and placing Amazon referral links on my other website, but I just didn’t have the traffic. Even using Web Fiction Guide to promote my story and review other stories, I couldn’t bring in enough hits. Why not? I was rushing out my writing to keep up regular posts. I was finalizing each chapter on the day I wanted to post it. Neither quantity nor quality were up to excellent standards. So what am I going to do about it? I’m novelizing it. I’m taking the chapters I did get out and constructing a better narrative to tie them together and bring Far Flung to life. I’m leaving what’s already out mainly so that I can show my improvement later on. I will share edited versions of the current Far Flung serial based on the improvements made for the upcoming novel. The edited serial will tie-in with the novel and hopefully help me promote and sell it. I will do another serialized work in the future, but I will approach it more like a novella. I’ll write about 20,000 – 40,000 words before the first post even goes up, and have that much read and critiqued first. I’ll make sure that first post gets noticed on Web Fiction Guide and other sites – and I’ll have a link to buy my book at the end of each post. Having a book ‘legitimizes’ me – I need to have a full novel out to improve my own confidence and my credibility. It’s too bad I don’t have another chapter for the serial right now, but what’s coming will be worth the wait, I promise. I finished editing and formatting an ebook for the Busan Writing Group! Last year, the Busan Writing Group released Nothing Too Familiar, an anthology put together from the works of group members. Convergence is the second anthology from the Busan Writing Group, and includes writers living in Seoul. With me again in this edition are Micheal Geer and Stephan Viau, and we had Amber Corrine, Clare Hartwieg, Sarah E Lakin, Spook Larsen, Caitlin McGrath, Jonathon McMullen, Rachel L McMullen, and Aisling Mooney with us as well. This time around, the only theme we gave authors was the keyword convergence. These stories were all submitted during workshops with the Busan Writing Group, and feature works from authors in Busan and Seoul. The stories were critiqued and edited by workshop members, and then I compiled them all into both print and ebook versions. The ebook is at this Amazon page. All purchases go toward making the Busan Writing Group even better and providing more opportunities for writers in Korea. Set in an alternate reality where growing up becomes a little bit more “colorful”, a second person narrative about a woman struggling to find out if the world is more than just grey. One woman grapples with the challenges and expectations of learning a new language, along with her role as a traveler. You can’t really go home again, but the people and the way they make you feel stay with you always. One young man’s choice leads him on two divergent realities, yet somehow the two possible paths keep crossing. This story is not about Tuesday through Sunday. Two agents find out that truth is very much stranger than fiction. You really can’t make this up. Sometimes a stranger just wants to chat… sometimes…. In Korea, the conspiracy theories are true. Some people will do anything for a caffeine fix. Is this expat teacher going crazy, or is her landlord coming in while she’s away? Fires never stop the jazz in Montreal, not until one cold winter night. Far Flung Chapter 9 is up! The latest chapter of Far Flung ends with a cliffhanger! When the ship’s medical bay falls apart during the attack by the Alliance, Doctor Denise Reynolds has to take a literal leap of faith. Read “The Leap”, Chapter 9 in the ongoing Far Flung saga! Your comments and feedback keep this story going. You can also help by rating the story at Web Fiction Guide or by voting at JukePop serials. This reblog from Diane Tibert’s website gives a lot of useful insights into promoting self-publishing. This author hails from my home and native land, so I just had to give her a shoutout! I’ve reached many milestones in the past twenty years in my writing career, but there are still things I want to accomplish and things I need to learn. One of the things I’m working to improve is my marketing abilities. I’ve done minor things to promote my books, but that’s not enough. In 2015, I attended farmers’ and craft markets to increase my exposure and, well, sell a few books. Obviously one-on-one sales increased; that was a no-brainer. However, I saw an increase in online sales too. I can only assume it was due to meeting people, giving them my business card and introducing them to my books. That’s 27 hours of epic audio! Power is back. No one is prepared. Catrin Volker accidentally fulfills the prophecy of the destroyer and becomes the most feared person on the planet. She and her friends must find a way to convince the world she wants only peace. Seems like a good deal! I bought it on a whim – and I’m taking this as solid writing advice. Write lots, run special promotions like this. It gets attention! 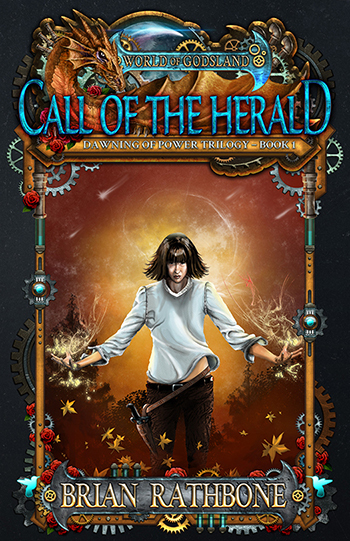 via Author Brian Rathbone: FREE Book : Call of the Herald. Subscribe to Write, or Else! Unless otherwise noted, all writing posted on this blog is copyright TCC Edwards 2013 - 2016. There are thoughts inside my head. Sometimes I write them down. My daily diary except everyone can read it.